K-Cups are expensive, especially if you drink several cups per day or need to keep an office full of coffee drinkers happily caffeinated and productive five days per week. Buying them in bulk online will save you not only money but time. K Cups can be purchased in bulk in places you might not expect. Some websites don’t require a special membership, while others do (but may allow you to use a guest pass to for a short period of time so you can try the experience before committing to it). When you buy in bulk from them, you’ll get a case of four boxes. You can save up to almost 20 percent on some K-Cups. Not all brands and types have the same savings across the board, but chances are good that you can save at least eight percent off of the normal MSRP when you shop for bulk K-Cups here. In addition, if you wish to set up a subscription, you can save five percent more. Choose from biweekly, monthly, or bi-monthly subscriptions (every 14, 30, and 60 days, respectively). If you like branching out and using your Keurig for drinks other than coffee, this is a good place to shop because they also offer teas by the case. When you set up an account with them, reordering what you love will be even easier, thanks to the Easy Reorder button. For quick ordering of a specific product you may not have ordered before, you can go to Quick Order and type in the product name or SKU, choose to order once or subscribe, and enter the number of boxes you need. Get up to 100 K-Cups in a box when you shop online at Sam’s Club. If you’re not a member there, you can sign up for a guest membership and shop online for your K-Cups anyway. Make sure you don’t sign up until you’re ready to buy because the guest membership only lasts for 24 hours. From there, you’ll need to decide if the savings are worth signing up for a membership or if you’d like to move on and keep looking elsewhere for K-Cups in bulk. So what brands can you find there? You could pay over $20.00 for a 36-count box of Folgers Classic Roast, a best seller at Sam’s Club, somewhere else. At Sam’s Club, you’ll pay about $40.00 for 100 K-Cups. You’ll also get free shipping. Believe it or not, you can get great deals on large quantities of K-Cups at Bed, Bath, and Beyond online. 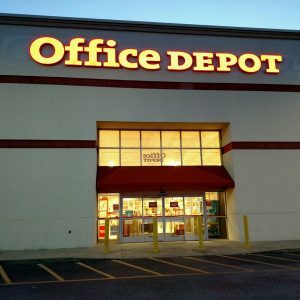 Prices are already reasonable on the boxes that have 40 or more K-Cups in them, but they also offer 20 percent off coupons almost all the time. 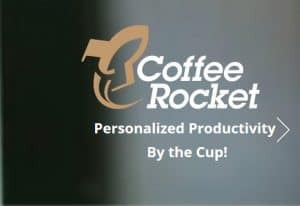 Sign up for their mailing list and/or to receive text messages and you’ll almost always be able to save a substantial amount on your bulk K-Cup purchases. The website allows you to compare up to four types at one time. If you want to save even more on your purchase, you can set up a subscription. Get five percent off and choose from weekly, every other week, every three weeks, monthly, every other month, quarterly, or annually. When you subscribe, shipping is free. If you love variety, Amazon may be one of the best places for you to look when you’re considering buying K-Cups in bulk. You can always find large boxes of a single type of coffee, but exciting variety packs aren’t as common. On Amazon, however, you can find options like the 96-cup variety pack (no decaf) from Beantown Roasters for under $40.00. If you’re unsure about making that type of commitment, Amazon often has hundreds, if not thousands, of reviews to sift through to assist you in making your decision. This variety pack, for example, has almost 2,500 reviews. Some variety packs also offer a few hot chocolate and tea options to mix it up the beverages and taste options. If you’re looking for a gift, there are some options that are already packaged up to look the part, like this one from Donut Shop (only the 20-count option, though). One note about shopping at Amazon: Once you’ve searched “K-Cups Bulk,” be sure to narrow down your selection to “Single-Serve Cups” on the left side of the screen once you’ve chosen “Single-Serve Capsules & Pods” under coffee, or shopping could still feel overwhelming. 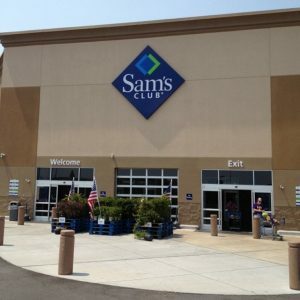 Like Sam’s Club, you’ll need a membership to shop in the store. However, you can purchase K-Cups in bulk without a membership if you’re shopping online. 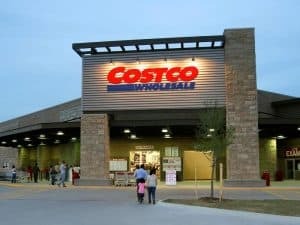 You may pay slightly more than the member’s price listed on the site when you don’t have a membership number, but check the price per K-Cup compared to where you normally shop and you’ll probably still come out ahead by shopping at Costco. In some cases, variety packs are available. You or the people in your office may enjoy the variety. Peet’s, Starbucks, Timothy’s, Tully’s - You can save up from %8 to %20. Amazon Starbucks, Donut Shop, Beantown Roasters, Peet’s Coffee, Green Mountain Coffee, Maxwell House, Folgers, Gevalia, Dunkin’ Donuts, Emeril’s, McCafé, Gloria Jean’s, Tully’s, Barista Prima Coffeehouse, Café Bustelo You can find 2,500 reviews to help you make the right choice. No need. Be sure to narrow down your selection to “Single-Serve Cups” on the left side of the screen once you’ve chosen “Single-Serve Capsules & Pods” under coffee, or shopping could still feel overwhelming. Costco Green Mountain Coffee, Tully’s, Starbucks, Donut Shop, Caribou Coffee, Cup-O (Protein Coffee Pods), Newman’s Own, Dunkin Donuts, Kirkland, San Francisco Bay, Peet’s Coffee You can get 180-count boxes of coffee You’ll need a membership to shop in the store. You may pay slightly more than the member’s price listed on the site when you don’t have a membership number. Whether “bulk” means 40 cups or 180, there’s a solution for your kitchen or office. Stick with what you know and love or branch out with a variety pack. No matter what your situation is, there’s no reason you have to pay the high price per cup that comes along with smaller boxes at your average store.